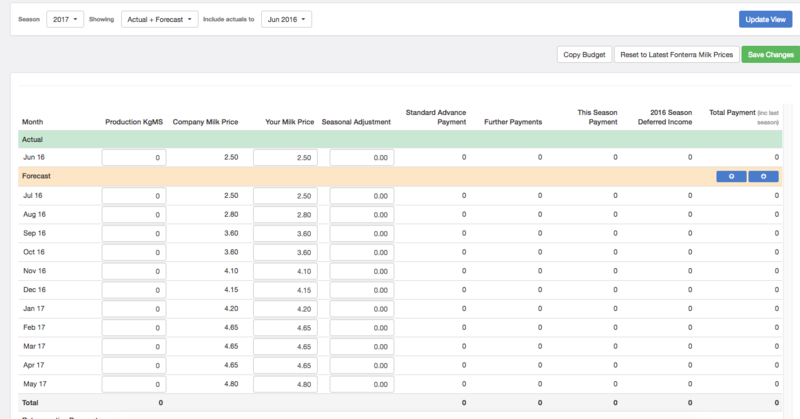 In order to get your May paid June payment (or any milk payment that spans multiple financial years) coming through, you'll need to use the Add forecast overflow button - however, that button overflows May paid June payments from your forecasts. You'll need to head back to your previous financial years forecasts, and fill in your production data x milk price to get that flowing over. Once happy, save changes. Once your prior years forecasts are filled out, head to this years budget and press Add forecast overflow. 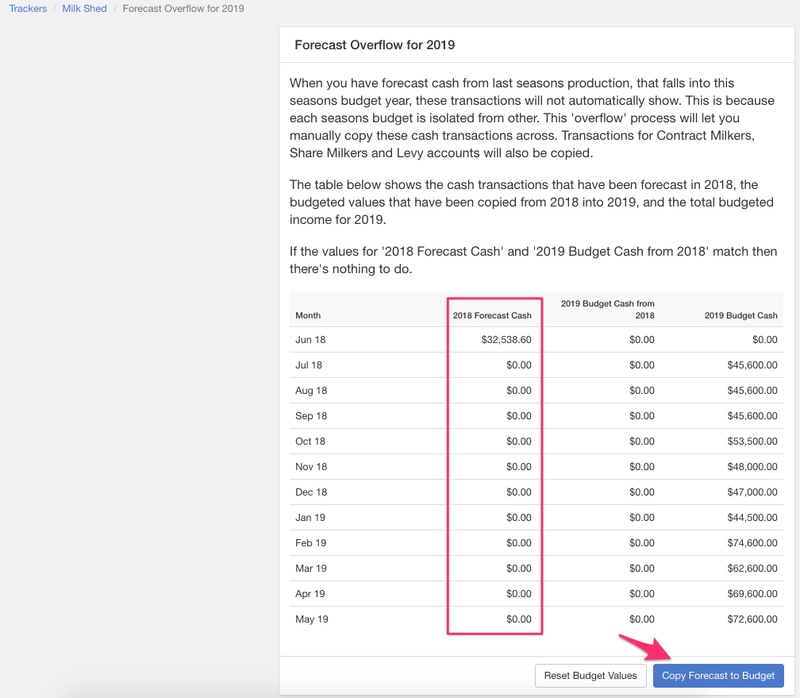 On the screen that follows, you'll be able to confirm the forecasted values that will be brought over (in the left hand column) and then you can click Copy forecast to budget. Your milk payments that span multiple financial years have now been brought across to this years budget.